The above books have been published. Science progresses by developing hypotheses in response to the observation of natural phenomena. Only when a hypothesis has been verified to the point that it can no longer be denied does it becomes accepted as fact. “Cephalic hypersensitivity syndrome” is the reality underlying chronic pain, a clear and convincing hypothesis that is backed up by clinical experience. When we consider the history of civilization from ancient times to the present day, the history of medicine as an actual "science" is quite short. Science, as we know it today, developed as an offshoot of alchemy, astrology, and other forms of magic. Viewed in the context of the transformation of human anatomy from our ape-like ancestors to modern Homo sapiens over several million years, the period from human pre-history to the present day is a mere moment in time. Viewed in this context, many of the "diseases of civilization" have been present since ancient times, and thus “disease” can be understood as the biogenic process of human anatomy attempting to adapt itself to the environment. How did this shift in thinking from alchemy and astrology to "science" come about? I believe that a third thought process—that of "awareness of the process of establishing a hypothesis" occurred, which Charles Sanders Peirce was later to describe as "abduction" and "retroduction." This paradigm shift in thought is clearly exemplified in Copernicus' publication of the heliocentric theory and Newton's discovery of gravity. Personally, I regard the process whereby Kepler found that his calculations were consistent with his observed data and postulated his "new model" of the solar system as the moment at which astrology was transformed into science. Kepler's achievement led directly to Newton's law of gravity and eventually to Einstein's theory of relativity. Without Kepler's laws, contemporary astrophysics and astronomical observations would never have been possible. Given this lineage, it seems quite fitting that Kepler was chosen as the name for one of the telescopes NASA launched into deep space. 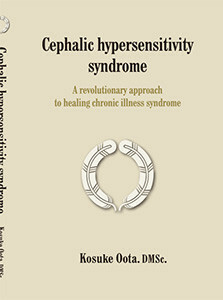 Cephalic hypersensitivity syndrome, the medical condition about which this book has been written, is the premise that currently best explains the observed phenomenon of clinical experience. Academic medical science currently takes as its premise that something (a theory) must be “true” if it is “capable of explaining a large number of cases.” In fact, some scientists and philosophers are of the opinion that matters to which this premise does not apply are not worth considering within the framework of “science.” However, there is no guarantee that premises which are true today will be true tomorrow, nor will they necessarily be true for the next patient we encounter. When a new phenomenon is observed, what is important is having the mental capacity not to simply dismiss it as atypical, but rather to attempt to relate it to an established or accepted hypothesis. Of course, it is good to refer to guidelines, and the literature reviews of evidence-based medicine are also important. For clinicians, however, what is most important is to have “the intellectual rigor to carefully examine the patient and observe with one’s own eyes, ears and hands, and completely revise one’s hypothesis, when necessary, in light of new data and observations.” At the same time, clinicians must continue to challenge their intellect by questioning their beliefs and assumptions to as great an extent as possible from multiple perspectives of various theories and principles, in an ongoing search for a consistent theory of general natural science. Busy clinicians have limited time to engage in such intellectual pursuits. That is why I have decided to set down in this book the understanding I have reached at this point in my practice, in order to entrust the further development of these ideas to those who come after me. This book is not a medical textbook and is written instead for a general readership. 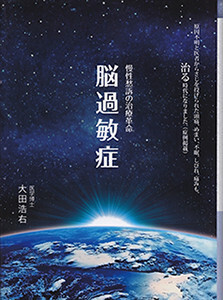 I will consider my efforts successful if this book helps those suffering from chronic pain to better understand their own condition, enables family members and society at large to better understand the situation of these patients, and is helpful in releasing as many of people as possible from their suffering. Finally, I would like to express my gratitude to my late wife Shoko who supported me in these endeavors, and all the people who worked so hard to bring this book to completion. The contents of the document can be downloaded from here. We will accept comments on this article.